As a three-term member of Congress and as the secretary of the interior in the Kennedy and Johnson cabinets (1961-1969), Stewart L. Udall (1920-2010) was a distinguished public servant and one of the great environmental leaders in US history. This book, the first biography of Udall, introduces his work to a new generation of Americans concerned with the environment. The author traces the influences on Udall's career, the evolution of his views on conservation, and his setbacks as well as his triumphs. In addition to his efforts to preserve wilderness areas and protect the planet, Udall advocated reforming the seniority system in Congress, limiting the production and testing of nuclear weapons, promoting coexistence with the Soviet Union, and helping oppressed peoples in emerging nations. A visionary leader, Udall was inspired by his pioneering Mormon forebears who helped settle the Arizona high plateau, where he first connected with the natural world. 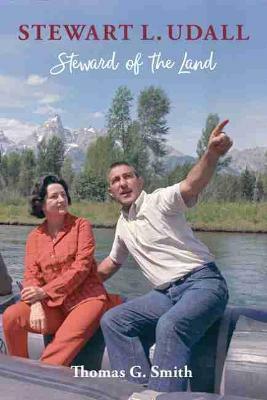 "Smith's greatest achievement in this book is his portrayal of Udall as a key figure in a pivotal period in American conservation history. . . . Smith's biography is certainly timely in its focus on the critically important but relatively low national profile of the office of Secretary of the Interior and on one of its most consequential leaders."